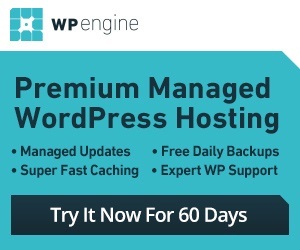 If you are the only person adding links to your WordPress blog, you probably have no excuse for linking to a site that contains malware or some kind of danger for your visitors. That is of course if you are not linking to a page that has been taken off afterward and replaced with a spammy one. People may post their links to your comment section from time to time too. Having a way to check these links before confidently clicking on each is not a bad idea. 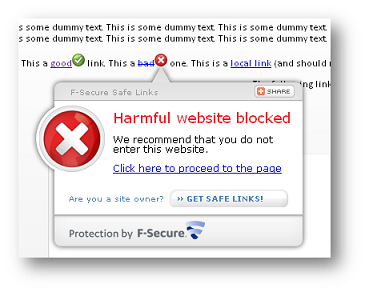 F-Secure Safe Links is a powerful plugin that lets you check all links on your web pages to make sure they are not leading to a dangerous website. In order to take advantage of this plugin, you are going to have to sign up for an account with F-Secure. The process does not take more than a few seconds. 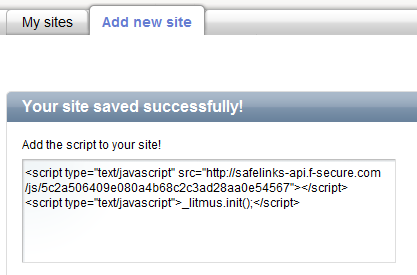 Just add the script provided to you by this service to your website, and you are all set. If you happen to have a comment link on your website that leads to a harmful website on the Internet, you can take advantage of this plugin to identify it. This does give your visitors more confidence when they are checking your content and browsing through your links. Nobody likes spam and malware. With plugins such as Safe Links, you can save yourself and your readers from the troubles that dangerous links can cause.